FRANKFURT -- Audi's global vehicle sales grew by 13.9 percent to 123,600 in October, helped by strong growth in China and the United States. Audi said growth in China, its largest market, was boosted by the locally built A6 L and Q5 models, adding that it expected the recently introduced Q3 SUV, A4 quattro variant and RS 5 Coupe to help the brand to expand in the market. 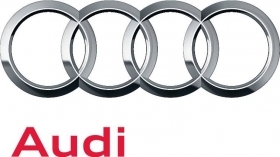 "China remains one of the major growth drivers for Audi: We already surpassed the record total for the whole of last year during this October, and 2012 will see us set a very good new record," Luca de Meo, Audi's head of sales and marketing, said in a statement on Wednesday. Brand sales in China leapt 29.5 percent last month to 35,899. Audi's sales in Europe increased by 4.2 percent to 60,950 vehicles in October, defying a market that is predicted this year to drop to levels not seen for two decades. Germany was Audi's biggest European market for the month with sales up 5.1 percent to 23,450, followed by the UK where sales increased 19.8 percent to 9,109. Audi counts Russia in its European sales numbers and the brand's volume in the country grew 57.1 percent to 2,946. Sales were down nearly 12 percent in Spain, 14 percent in Italy and remained level in France. U.S. volume grew 14.5 percent to 11,708 units. Audi's 10-month sales are up 12.9 percent to 1.22 million compared with the same period in 2011.